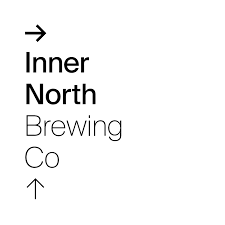 Inner North is a brewery that I've been aware of for a maybe the last year or so, but know absolutely nothing about. So I sent an email off to the guys to find out more! I waited, and waited and waited for a reply. I sent a reminder. Radio silence... Finally, after I'd almost completed a scathing review, I received a reply; a particularly detailed reply. This experience initially mimicked & then contrasted the experience I had at the brewery, but more on that later. Inner North was set up by Zack Skerrit, formerly a co-owner of Henry St Brewhouse. Things didn't quite work out at Henry St Brewhouse with Zack selling his share to his original business partner. He still had the dream of owning a brewery & immediately set about looking for a warehouse space where he could do his own thing. 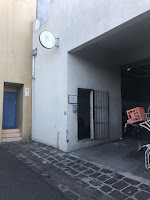 He acquired the space, a large old cold works in a Brunswick back street, in July 2017. He took the lessons he learned from Henry St & began to build his new brewery. 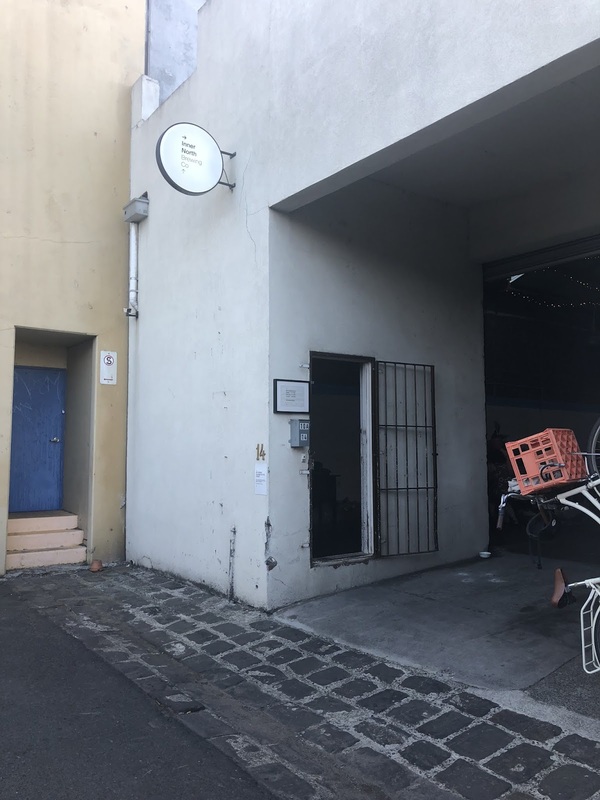 It took 8 months of hard work, with Zack doing some pretty significant modifications to the space, before council finally approved everything & Inner North opened its doors in February 2018. The space is a massive! I can't imagine how much work it would've taken to get it into the condition it's in now! There's heaps of seating, with lots of long benches and a nice relaxed feel. There's a few games dotted around the brewewery as well as some greenery hanging from the exposed structural beams. They're also dog friendly, which is always a bonus. They don't do food, however you're able to BYO or order at the local Pub or Taco restaurant nearby. Currently Inner North are running a 500L, something that is becoming more and more common with start ups these days. At the moment the back brewing area looks a little devoid of equipment. That will hopefully change in 2019 as Inner North look to add more fermenters. The flip side to that is of course that they have plenty of room to grow, which will allow them to consistently fill their 12 taps, plus begin distributing to local pubs & even put some of their beer in cans. Onto the main thing you're here for, the beer. I have to say I was disappointed. I had 4 beers - across a range of styles and none of them really impressed me. I found their beers to be too malt driven - malty Single Hop IPA's don't make a heap of sense to me. 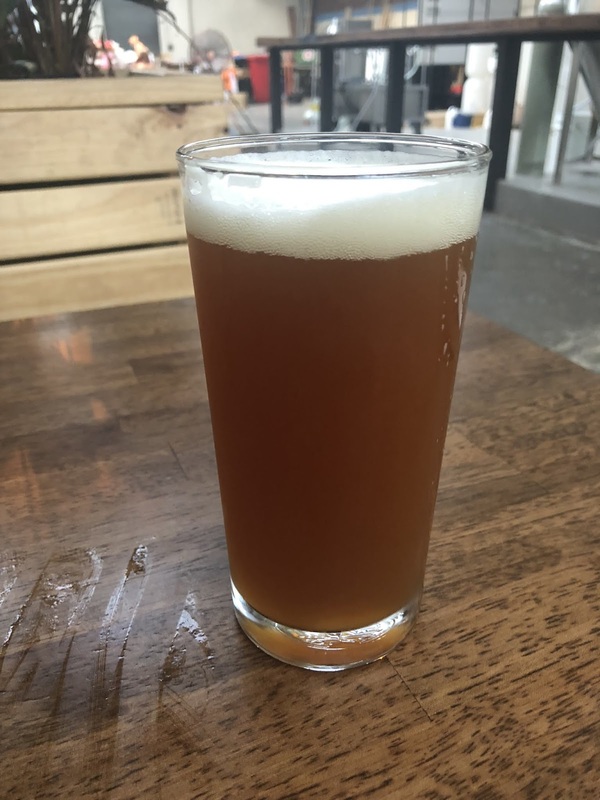 The best of a relatively mediocre bunch was their new release; Coffee Amber Ale. The beer poured a murky brown/red colour with a small white head. It smelt strongly of coffee, with some caramel malt qualities buried underneath it. The taste was similar; loads of coffee masking any subtleties that may have been lying underneath. I don't normally write conclusions for these Year of Local posts, but I feel it's important this time. I didn't love my time at Inner North. I got a bad vibe from the staff as soon as we walked in and the experience didn't improve. It really goes to show how important staff are to your business. Maybe I caught them on a bad day - but they rubbed me the wrong way from the start. The thing that could've saved this visit was the beer, but it wasn't of a high enough standard. As beer is so experiential I could be marking it slightly harsher because of the overall experience. I certainly won't be rushing back to give them a second chance. Each to their own though, you may love your time at Inner North so definitely go and see what you think for yourself.